For those looking for a startup business opportunity, an embroidery business can provide an enormous opportunity. According to industry experts, these types of businesses are ideal for anyone seeking a creative outlet, the ability to work from home, the ability to set one’s own schedule, work in any niche, and such a business has huge profit potential. The industry is stated to be a $47 billion dollar a year industry, with the possibility of 100% of startup costs being recouped within the first year of business. 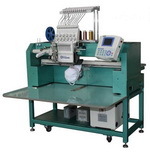 Embroidery equipment is easy to learn to operate with no specialized skills to learn, and with training provided by companies selling embroidery and garment printing equipment. In what is called the decorated apparel industry one can start either an embroidery business or a garment printing business. These businesses are responsible for embroidery and printing on caps, t-shirts, school uniforms, sports logos, corporate logos, monograms, jackets, bags, and linens, just to name a few items. There is no place that we look where we do not see items decorated in some way by embroidery or garment printing. Such items are big business. This type of business can be operated from home or in one’s own shop. 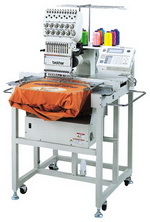 Whether a home based or industry based business is started just about everyone has embroidered or printed garments and the demand for such items is high. There are some companies on the web that offer a complete package for start-up. 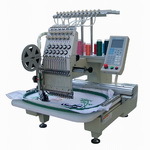 Two such companies for embroidery business startups are SWF East and Pantograms. There are also a number of different pricing models that one can use within this competitive industry to determine the pricing of one’s goods. These models are: going-rate pricing, discount pricing, premium pricing, and cost based pricing. Historically the industry has used a pricing table that bases the price on the embroidery stitch count and quantity, plus set up charges. A good discussion of pricing for an embroidery business can be found on the web at Embroidery Startup. More so than any of the other sewing businesses, this type of business can be quite lucrative. One can make it a full time or part-time business and still do quite well financially. However, careful planning is needed.